The resurrection became very personal to me a few years ago, much more so than it had been prior. I’ve come to realize that as I go through life and continue to gain experience, to learn and to grow, that different aspects of the gospel become personal to me. This is when my testimony is strengthened over that particular gospel facet. For example, if we’ve never had a loved one die, perhaps the resurrection may seem nebulous, hazy, and vague doctrine that we don’t completely understand. When we experience losing a loved one, it becomes precious knowledge that we hold dear to our hearts. Resurrection is the reuniting of the spirit with the body in an immortal state, no longer subject to disease or death. An understanding and testimony of the resurrection can give us hope and perspective as we experience the loss of loved ones in our lives. We can find comfort in the assurance that the Savior lives and that through His Atonement, “he breaketh the bands of death, that the grave shall have no victory, and that the sting of death should be swallowed up in the hopes of glory” (Alma 22:14). This is the glorious message that came along with the resurrection of Jesus Christ: that Jesus lives again—and because of that, we know that we will also. Try as we might to put the question out of our thoughts, it always returns. Death comes to all mankind. It comes to the aged as they walk on faltering feet. Its summons is heard by those who have scarcely reached midway in life’s journey. At times it hushes the laughter of little children. But what of an existence beyond death? Is death the end of all? Robert Blatchford, in his book God and My Neighbor, attacked with vigor accepted Christian beliefs such as God, Christ, prayer, and particularly immortality. He boldly asserted that death was the end of our existence and that no one could prove otherwise. Then a surprising thing happened. His wall of skepticism suddenly crumbled to dust. He was left exposed and undefended. Slowly he began to feel his way back to the faith he had ridiculed and abandoned. What had caused this profound change in his outlook? Recently, I found this interesting meme on Facebook. 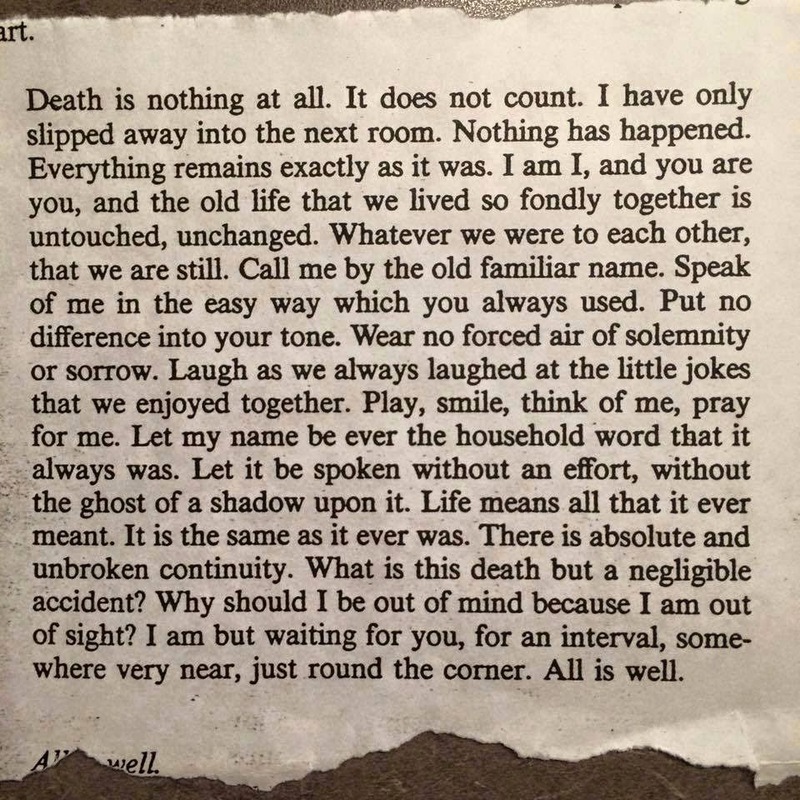 Death is not a moment we should live in fear of. Every one who lives must die at some point. Every single person born on this earth must at some time lay down their earthly tabernacle and return to their Father in Heaven. It’s part of the plan for our lives. I remember a time in my life when I could honestly say that no one close to me had ever passed away. I sometimes find myself wishing for that inexperienced and innocent state of mind, a time when death had not touched my life or tainted my memory. However, we are not here on this earth to pass through life without trials. We are here for much needed experience. We are here to be refined and to prove ourselves worthy to return to our Father in Heaven. Hence, experience follows, whether we want it or not. If we only rely on Hollywood as our example, death becomes a rather nightmarish experience. Movies portray death as something to be feared, something that is frightening, creepy, and disturbing. The cinema portrays angry spirits wandering the earth, looking the same awful way they looked when they died, which is usually some gory adaptation. Sadly, this gives us a very demented view of death and one that couldn’t be further from the truth. Death is returning home. It is returning to our Father in Heaven. It is merely the separation of body and spirit. Our spirits live on. Our spirits move on. We continue to live, to thrive, to exist. 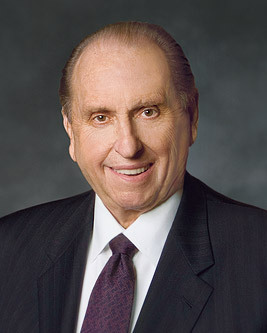 This is the message of the gospel, this is the message of the resurrection. Of course, it is extremely hard to see our loved ones leave us. We want them to stay here with us, we miss them, and we love them. But, knowing where they are brings us comfort and peace. Recently I have found that death, while a traumatic experience for those of us left behind, is also a huge testimony of life. My testimony was strengthened after facing the loss of loved ones from my life. It wasn’t creepy or frightening, it was sacred and holy and I’d like to share a few experiences with you. My sister in law, Pam, passed away in 2011 very unexpectedly. She was only 50 years old. Her husband asked if I would help to dress her in preparation for her viewing, and I agreed. This was not something I had ever done before and I had a great deal of trepidation. The other ladies helping to dress her assured me that I could participate or not participate according to how I felt at the time. I wasn’t really sure how much I would do. Upon arrival in the room where her body lay, there was a feeling of great anxiety and unease. I felt it keenly. We dressed her and I still felt uneasy. Her good friend and I agreed she still didn’t look like herself. We agreed to meet again. We met, said a prayer together, and her friend asked if it would be all right if she played some hymns over her ipod speakers. With the “Spirit of God” playing in the background, we carefully worked to make my sister in law look beautiful. We painted her nails and her toenails, we placed her jewelry just so and arranged her flawlessly. We oversaw the application of her make-up till she looked perfect. The earlier anxiety slowly left the room. A feeling of utter peace overwhelmed me. There was such a feeling of peace and calm after we made her look perfect that I knew without a shadow of a doubt that Pam was now pleased, that she felt relieved and at peace. The feeling was palpable. I left the funeral home with a feeling I’d never felt before. It hadn’t been a scary experience at all. It was a sacred experience and one that I’ll never forget. I realize that people rarely speak of these things, it’s almost taboo to speak of it. But I can testify to you that death is a sacred experience, that the spirit in the room as we completed this final act of service for our sister was overwhelming. Perhaps we don’t think of death as being something that strengthens our testimony. But as we look upon the shell that once housed the spirit of our loved one, we see that they are not there anymore. The body is a shell, lifeless and inanimate without the spirit to give it life. And this in and of itself is a testimony of life. My second experience with death happened with my very own precious grandson. My daughter joyously discovered she was expecting. Only a short month later we received the devastating news that her baby had a condition known as Trisomy 18. I’d never heard of it before. The 18th chromosome triples upon conception and because of this, the ensuing birth defects are not compatible with life. These babies rarely live or even survive birth. However, they often thrive in the womb, but cannot live outside of it. I can’t imagine a more heart-wrenching scenario. Life is sacred. Life is precious. My daughter made the decision to see the pregnancy through even though the doctor said that the odds of the baby surviving were non-existent. We prayed, we fasted, we hoped, and we waited. When adversity occurs, your perspective changes. My daughter and her husband prayed that they’d have five minutes with their son. It doesn’t seem like much to ask. Just a few minutes to look into his eyes and see his spirit shining out at them, just a moment to smile at him and tell him they loved him. That was all they wanted. He was active in the womb, very active, he was full of life, he thrived. At weekly ultrasound visits, my daughter saw him develop almost normally. She saw him wiggle and squirm. This gave her hope. But, it wasn’t meant to be. At eight months gestation, our little Jerad lost his fight to live. People asked, why didn’t he live? The following comparison came to our minds. When 911 happened, people asked, why did the twin towers fall? On the news, I heard an architect say, the real question is, why did they stand as long as they did? An airplane had hit a building, it was a miracle that it stayed standing at all. The same principle applied with Jerad. The real question was, why did he live for as long as he did? We don’t know the answer to that question. But the Lord does. And for whatever reason, this was all the earth life Jerad needed and it was an honor to have him in our lives even for this brief period of time. Was this a traumatic experience? Yes, absolutely. Was this an anguishing experience. Yes, no doubt. But, again, it was also a sacred experience. We live seven hours away from my daughter, so we made it to the hospital minutes after delivery and we were able to see our little grandson. The nurses allowed us to keep Jerad in the room with us for as long as we wanted. Late in the evening, after my daughter and her husband had said their goodbyes to their little son, I finally asked if I could hold him. Because he was so very fragile, no one had held him but my daughter. I took him in my arms and was able to hold the little body that had housed his spirit. I rocked him in my arms as one rocks a baby, out of habit, even though I knew he was no longer there. The baby that had moved and thrived, filled with life inside my daughter’s womb was now lifeless in my hands. Yet, the testimony of life after death burned within me. It was truly one of the most precious thirty minutes of my life. I got to place him in the basket that the nurse took him away in—and it was very hard to see him go. Again, it wasn’t creepy or frightening, it was sacred. Because life is sacred. I know our little Jerad was there in the room with us, he just wasn’t in his body. He knew he was loved and wanted more than anything and the feeling of love was very strong. I am so thankful for that knowledge and the comfort that it brings to me. This is the message of the resurrection. Because Jesus lives again, so will we. We will one day be resurrected, our spirits rejoined with our bodies. We will live again and we will see our loved ones again. I’ll conclude on a lighter note. Now, my daughter’s husband is short. So, with tears in her eyes, she responded, “I think we need to get one thing straight, he’s not going to be tall.” I think that was the moment when I knew she was going to be okay. And while she still greatly mourns her son, the knowledge of the gospel brings her great comfort. This is my very personal perspective on death and the resurrection. When the doctrines of the gospel become personal in our lives, it changes us. We believe with our hearts and not just our minds. 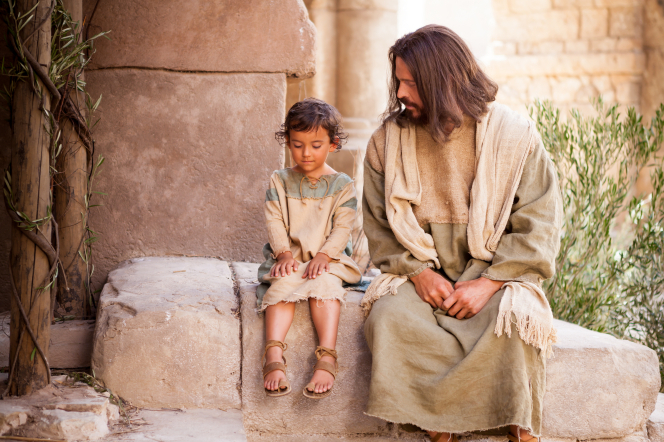 I pray that the gospel of Jesus Christ will be personal to each of us. I know that it will bring happiness and peace into our lives if we let it. This post is beautiful. I love what you have learned through yours and your daughter’s sacred experiences. Thank you for sharing, Taylor. Thank you,Charissa. When we go through tough experiences, we can either turn away or turn to the Lord. These experiences made me turn to the Lord and strengthened my testimony. Sorry this post is so long. I think I’ll keep them shorter in the future. I just had a lot to say on this subject. It was perfect; I’m glad you didn’t change or shorten it. I shouldn’t have read this while I was at work. The tears. Thank you for sharing such beautiful and personal post. What a blessing it is to know that this isn’t the end. It makes me cry every time I read it too. Some things just don’t lose their ability to touch my heart and this is one of those subjects for me. It took me awhile to be able to put all those thoughts on paper though. I had to absorb it all for a long time until I was ready to write about it. Thanks for your comment, Jennifer. I’ve enjoyed all the posts on this blog – thanks ladies!! I’m really glad you took the time to share your experience of caring for your sister-in-law after she passed away. I agree that it is something that is often helpful to hear about, while it’s not always easy to share. Thanks!